Time to burn your calories, er, dread. Persona 3: Dancing in Moonlight and Persona 5: Dancing in Starlight are finally grooving their way to a dance floor near you this December, but not without some sweet preorder bonuses! If you pick up the Day One editions of either game, you'll get a special Persona character to add to the mix, along with an exclusive track for each one of them. 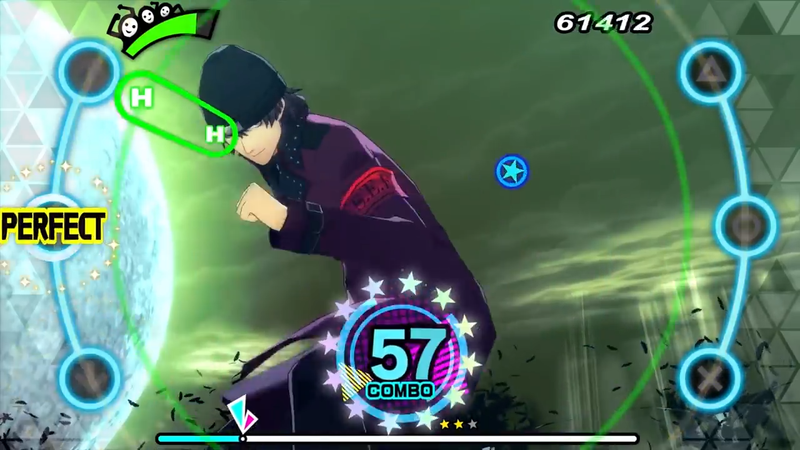 Persona 3: Dancing in Moonlight get SEES member Shinjiro Aragaki, who also comes toting the Persona 3 final boss tune "Battle Hymn of the Soul." Meanwhile, preorders for Persona 5: Dancing in Starlight Day One editions get the Persona 5 awakening theme "Will Power." I you nab the Persona Dancing: Endless Night Collection, however, you'll get both characters and their accompanying songs. The PS Vita versions of the games will get both characters and songs for free within 2 weeks of the game's launch on December 4, so if that's the version you're buying, you might want to go ahead and write yourself a little note to make sure you don't forget to download your extra goodies. Check out the new characters above and get ready to dance all night when the games launch this December. You already know I'm going to be there.